The next time you don your hipster eyewear and explore the streets of the Wynwood Art District, make sure that a visit to the University of Miami Gallery’s brand new home is at the top of your to-do list. The gallery has moved to the funky, zebra-striped Wynwood Building, a mere two blocks from where it originally stood. Gallery Director Milly Cardoso said she feels that the new building perfectly portrays what the gallery stands for. Lise Drost, chair of UM’s Department of Art and Art History, made the decision to move the gallery from its five-year home in lower Wynwood in an effort to bring more recognition to the university’s artists. The gallery’s new home is in a professional building that also houses artist galleries and studios as well as art and design businesses, according to Drost. “It’s important for the department to showcase the work of our artists – students, faculty, staff and alumni – in the gallery district in Wynwood to help our people with their careers and to show the art community what the U of M artists are doing,” she said. 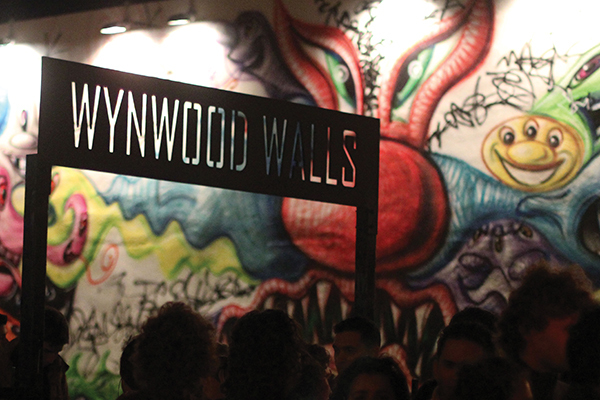 The gallery’s new location is also closer to the Wynwood Art Walk, which allows it to better reach its goal of inspiring others by attracting more visitors.